Soybean Excellence Program® - Schertz Aerial Service, Inc.
Schertz Aerial Service, Inc. is taking the next step with the use of aerial practices to increase soybean productivity. With a combination of fertility enhancements, fungicide and insecticide applications, we are offering the Soybean Excellence Program®. 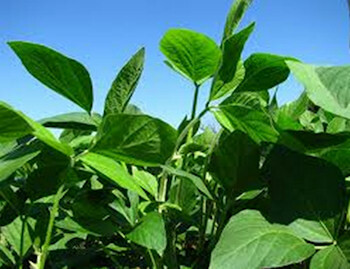 This program is to meet the growing needs of high yield soybeans by the addition of a readily available source of potassium and sulfur at the R3 growth stage. By combining these three practices we plan to take the phrase “High Yield Soybeans” to the next level. An active and relevant fertility enhancement program combined with fungicide and insecticide applications and also, offers the use of the NutriSolutions® Tool from Winfield™ to analyze tissue samples.